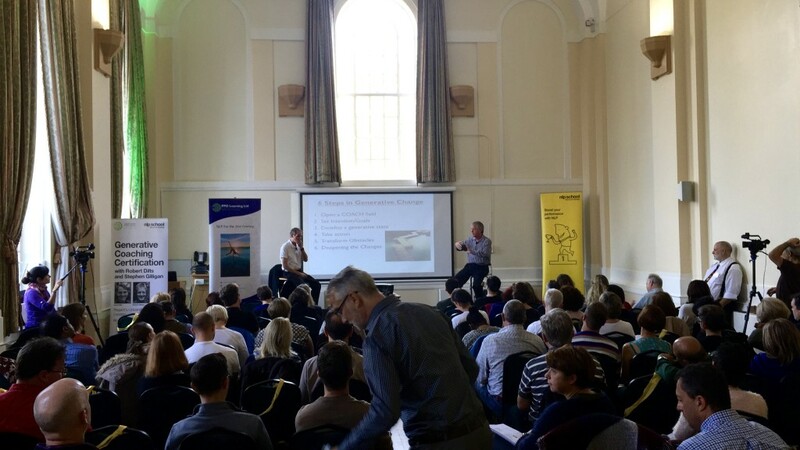 In October 67 people from 13 different countries gathered at Regents University to take part in the UK’s first ‘Generative Coaching Certification’ programme facilitated by Robert Dilts and Stephen Gilligan. 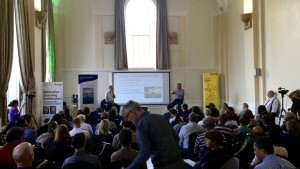 We produced this event with our partners at PPD Learning and the NLP School. To be ‘generative’ means to create results that have never existed before: it is what entrepreneurs, artists, philosophers and inspirational leaders do. Generative Coaching is a set of tools for working with clients to enable them to discover and harness this extraordinary power within themselves. It enables clients to transcend problems rather than just ‘sort’ them, and to move on to new, previously unimagined levels of creativity in both their personal and professional lives. Unlike conventional coaching, Generative Coaching welcomes crises and threats to identity and works with them, treating them as golden opportunities for deep personal change. This was a fantastic first module and it was a great and diverse group of therapists, coaches, trainers, NLP practitioners coming together to learn what this new coaching methodology from two of the leaders of the coaching and therapy fields. We are also developing the ‘International Association of Generative Change’ a worldwide new body that will bring together Generative Change practitioners from round the world under the one banner. I think this is a genuine paradigm shift in the way people view both coaching and therapy and it is fantastic to be part of helping this grow and develop in the UK.